Merge two or more Google accounts sounds like a difficult task at first. But it isn’t so easy too. Sometimes, you might find handling two different Google accounts rather tasking. Well, why not create a headquarter for those emails coming in. Sending them to on account instead. Ideally, to merge two or more Google accounts can just be accomplished by pressing one or two buttons – but it is not. Below, with few steps, we would look at how we could successfully merge two or more Google accounts. Make sure to read through these steps one by one. However, if you just want to access all your Gmail accounts on the same computer, you don’t necessarily have to merge them. Now let us quickly dive in. 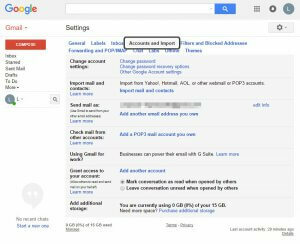 Import the emails from your other accounts directly into your main Gmail account. That is the account you would like to use to receive and send emails after merging. You can do this in your primary account’s settings, on the Accounts and Imports page. Now to import mail and contacts, choose Import mail and contacts. Next thing you have to do is log in as the other account that you want the email from. Then follow the on-screen instructions to import all the messages. You need to do this step for every account you want to copy the emails from. However, you can check the progress of the merge from the same Accounts and Imports page. 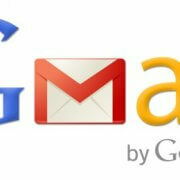 Add each secondary address as a sending address to the main Gmail account. This will let you send email from the account(s) you added in Step 2, but do so from your main account so that you don’t have to log in to those other accounts. Note that this should have already been completed after finishing Step 1 and 2. Now you would have to set your main account to always reply to messages using the same address that the emails were sent to.. You can do this from your Accounts and Imports page. In the Send mail as section, choose Reply from the same address the message was sent to. Or, if you don’t want to do that, you can, of course, pick the other option to send mail from your primary, default account. Once all the email has been imported, set up forwarding from the secondary accounts so that new messages will always go to your primary account. Now that all the old, existing emails from all your accounts are now in your primary account, and each is set up to forward new messages to your main account indefinitely, you can safely remove the Send mail as accounts from your Accounts and Imports page.